The Significance of Keeping A Fan Constantly Engaged. 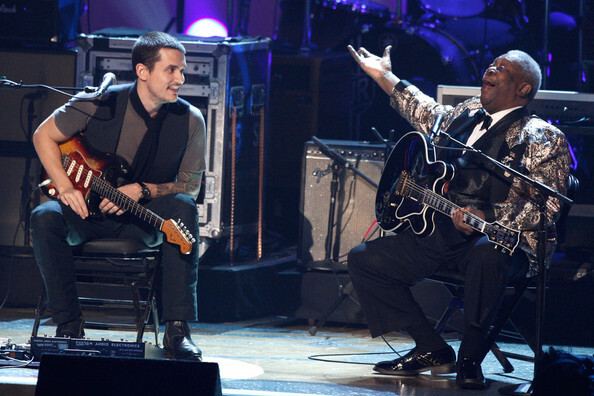 If you read this blog on a regular basis, you know I’m a John Mayer fan. Knock him all you want, but Continuum was a great album. Over the last year, I’ve kept close tabs on his blog/twitter as he started developing the concepts for his new album, Battle Studies, that’s being released next week. Not only did I want to see the type of songs emerging, I wanted to see what the process of writing, recording, and promoting a new album is like in the major label world of today. What would unfold is an experience that lead me to pre-order the album and get first dabs at tickets on his upcoming Winter tour. The whole experience of vicariously living the conception and birth of an album (as a fan of the artist) was something I enjoyed thoroughly. During the early stages he would put up snippets of song ideas on his blog via youtube. You had to imagine the rest yourself, but you could feel the melody or solo and know that it could turn into something sweet. No lyrics, just random vowels to get the idea down on garage band. It was unfinished and recorded poorly, but that was the best part. You wanted to find out how they would turn out. You were seeing the creative process unfold. He trusted his audience enough to let them take a look at unfinished material. That in itself helps bonds the artist to a fan. You saw pictures of the house evolve into recording studio. There were videos of songs being recorded, the studio atmosphere, the people involved, etc.. The cover art concepts of the album even evolved over the year. Then there were the secret shows that he would not so secretly tell his audience about through twitter, where he would play mostly new songs and get audience reaction. Even then, the songs weren’t completely finished. Of course, fans video-recorded the shows and they were up on YouTube the next day. Most core fans know most of the songs on the new album, but not in finished form. I was thinking about how if I just heard about the album now, I don’t know if I’d be driven to pre-order it. The whole process of virtually tagging along for the whole ride made me almost need to have the finished product. What does that mean for you an artist with a limited audience? Well you might not get people excited about a song idea if you don’t already have fans, but you could put up the song idea after you’ve recorded the finished product. It could be part of your long tail of online content. People get hooked on the finished song, but are interested enough to hear the song in its infant stage. It’s an artist-fan bonding experience. I’ll leave you with a live version of a track from the upcoming Mayer album. Good article – made me realise that that’s what I’m doing – of sorts. I didn’t consciously think it out like that – it sort of ‘happened’ coz my single was taking time and more time to unravel, record and release … so I’ve been tweeting & blogging as it’s all unfolding … realising people were interested in the day-2-day stuff like meeting with the choreographer, working with the designer, planning the tee shirts etc – and the stuff up with the first tee shirt run. Geez – I hope they’ll like the music when it’s finally out!!! (expecting it up on iTunes next week). Yeah – this article has made me think … and since I’m self-funding my album song by song, I like the idea of involving people as I go along – it would be fun and rewarding on a human level too – not just commercial – great idea -thanks!